Gone are the days when super sweet, syrupy drinks took the top spot on bar menus. When bellying up to the bar, you'll notice plenty of craft cocktails that are short on the ingredient list but prepared with quality, housemade infusions. 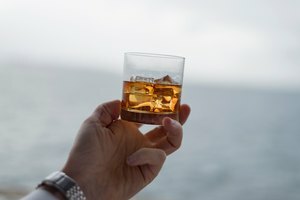 What are Americans drinking? Each year Drinks International interviews bartenders across the country, and recently there's been an uptick in bold and bitter flavors, as well as a return to vintage classics that are surprisingly easy to make at home. In addition to listing the favorites, master mixologists provide their best tips for preparing bar drinks at home. List of the Ten Most Popular Cocktails in the U.S. There's nothing old-fashioned about this sophisticated sipping cocktail. 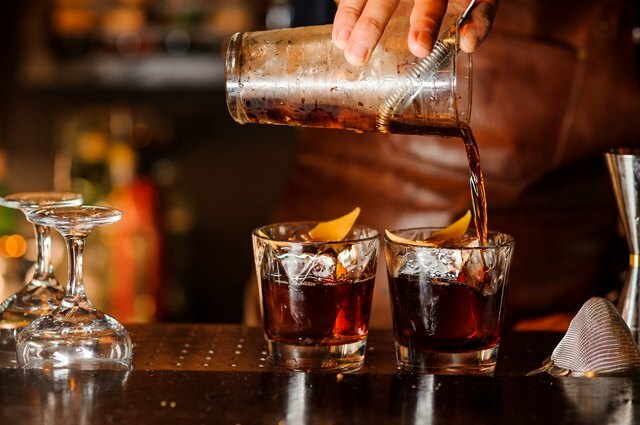 According to bartenders and restaurant staff, it's the most-ordered drink in about 30 percent of bars across the country. To make the sophisticated cocktail yourself, you'll need to roll up your sleeves and get muddling. Add the sugar cube to a rocks glass and pour the bitters over the top. Use a muddle or fork to mash up the saturated sugar cube. Next, fill the glass with ice and add the bourbon. Stir until combined and add the garnishes. This Italian classic combines Campari with sweet vermouth and dry gin, and is definitely bringing bitter back to the top of cocktail lists. Combine the ingredients in a rocks glass with ice and stir gently. A little sweet, a little sour and very whiskey-forward, this classic has made a comeback, according to bartenders from Boston to Boise. Combine the liquids in a shaker with ice and strain into a glass made for sipping. This is not the frozen slushie extruded from drink machines that line the counters of dive bars. Bartenders implore you to try the original rum-forward recipe that's quick and easy to make. Put the three ingredients into a shaker with ice and give a few whirls to chill, then pour into any glass you have handy. Said to have originated in the 1870s at the Manhattan Club of New York City – an elite social club for Democratic men – the cocktail has experienced newfound fame in speakeasy-style bars and cocktail clubs. To sip the drink from the comfort of your own tufted leather sofa, fill a rocks glass with ice, add the ingredients and give it a stir. This iconic cocktail is traditionally prepared with gin, not vodka, and bartenders urge you to stir, not shake (contrary to the advice of James Bond) in a large glass with ice. The reason? Shaking breaks up the ice and adds too much water to the final drink. After a gentle stir, pour the ingredients into a chilled martini glass. With trendy coffee shops combining coffee menus in the morning and bar menus at night, the espresso martini is boosting caffeine intake around the clock. To prepare the boozy picker-upper for friends, prepare espresso and let chill, add all of the ingredients to an ice-filled shaker and give a vigorous shake, then pour into chilled martini glasses. Margaritas have moved beyond Tex-Mex joints and are on bar drink menus across the country. When ordering, be on the lookout for varieties that feature a housemade base with fresh lime juice as opposed to the bottled sour mix. To prepare the limey treat in your own kitchen, mix the ingredients in a shaker with ice and pour into a salt-rimmed glass. Vodka martini: Like the dry martini, but made with vodka instead of gin. Cosmopolitan: Combines vodka, cranberry juice, fresh lime juice and orange liqueur. Bloody Mary: This boozy brunch favorite is a mix of vodka, tomato juice and a little pepper or spice to give it a kick. 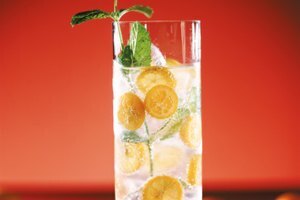 Screwdriver: For those who want a kick of vitamin C, the cocktail is simple, made with just vodka and orange juice poured over a glass full of ice cubes. Hardware: You don't need as many pieces as you think. Stock your bar kit with a few essentials and you can make the most popular cocktails. Set of sipping glasses like a rocks glass (named because the large, flat glass easily holds ice cubes). Martini or wide-mouth Champagne glasses. Silicon molded ice cube trays. Simple syrup, which is just 1 cup sugar mixed with 1 cup water and brought to a boil, then chilled. It stores in the fridge for about a week.